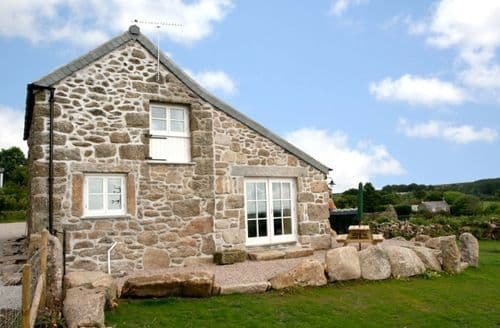 What our customers are saying about our Holiday Cottages In Madron To Rent. "It had so many different things left out for us to help such as dishwasher tablets, washing tablets, biscuits, a cake, tea and coffee so that we could move straight in. We only had one niggle and it was sorted out within minutes. Owners were lovely. we will definitely book againThis is off the beaten track but once you arrive it is stunning. 6 Adults and still plenty of room. 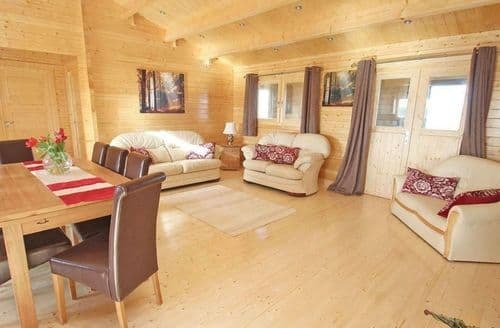 It has a real log cabin feel but modern and luxurious. Attention to detail is amazing. It is the best equipped kitchen in a holiday let I have ever stayed in. Warm and cosy to return to after a day surfing in late September/October. Immaculately clean. Our Puppy loved the space and walks in the grounds, took him a while to get use to seeing Alpacas on his walk from the house. Him and me too! Welcome treats were wonderful and my Adults Sons much appreciated the Cakes.Just one lodge on its own on the farm which belonged to the owners. The children were able to watch the llama's and donkeys being fed and visit the parrots rabbit's and chinchillas. What was remarkable is everything worked in the lodge w/machine dishwasher and tumble dryer, this was a boom with two young grandchildren. I would thoroughly recommend it and would definitely go again.VERY CLEAN, COMFORTABLE AND VERY WELL EQUIPPED. EVERYTHING WORKED WELL AND WAS OF VERY GOOD QUALITY. THE SURROUNDINGS WERE EXCELLENT BEARING IN MIND WE HAD 2 DOGS. WE WOULD DEFIANTLY RETURN AND WOULD RECOMMEND THIS LODGE TO ANYONE.The beds were very comfortable and it was nicely decorated. 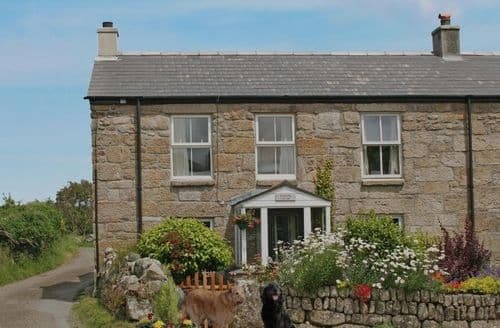 We would definitely stay again!This was much better than we expected top quality, brilliant location and very well stocked A great surprise of cakes on arrival"
"This is off the beaten track but once you arrive it is stunning. 6 Adults and still plenty of room. It has a real log cabin feel but modern and luxurious. Attention to detail is amazing. It is the best equipped kitchen in a holiday let I have ever stayed in. Warm and cosy to return to after a day surfing in late September/October. Immaculately clean. Our Puppy loved the space and walks in the grounds, took him a while to get use to seeing Alpacas on his walk from the house. Him and me too! Welcome treats were wonderful and my Adults Sons much appreciated the Cakes.Just one lodge on its own on the farm which belonged to the owners. The children were able to watch the llama's and donkeys being fed and visit the parrots rabbit's and chinchillas. What was remarkable is everything worked in the lodge w/machine dishwasher and tumble dryer, this was a boom with two young grandchildren. I would thoroughly recommend it and would definitely go again.VERY CLEAN, COMFORTABLE AND VERY WELL EQUIPPED. EVERYTHING WORKED WELL AND WAS OF VERY GOOD QUALITY. THE SURROUNDINGS WERE EXCELLENT BEARING IN MIND WE HAD 2 DOGS. WE WOULD DEFIANTLY RETURN AND WOULD RECOMMEND THIS LODGE TO ANYONE.The beds were very comfortable and it was nicely decorated. We would definitely stay again!This was much better than we expected top quality, brilliant location and very well stocked A great surprise of cakes on arrival"
"Just one lodge on its own on the farm which belonged to the owners. The children were able to watch the llama's and donkeys being fed and visit the parrots rabbit's and chinchillas. What was remarkable is everything worked in the lodge w/machine dishwasher and tumble dryer, this was a boom with two young grandchildren. I would thoroughly recommend it and would definitely go again.VERY CLEAN, COMFORTABLE AND VERY WELL EQUIPPED. EVERYTHING WORKED WELL AND WAS OF VERY GOOD QUALITY. THE SURROUNDINGS WERE EXCELLENT BEARING IN MIND WE HAD 2 DOGS. WE WOULD DEFIANTLY RETURN AND WOULD RECOMMEND THIS LODGE TO ANYONE.The beds were very comfortable and it was nicely decorated. 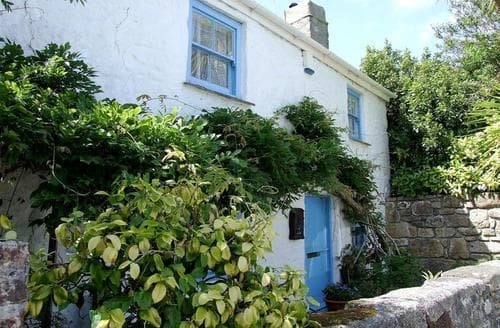 We would definitely stay again!This was much better than we expected top quality, brilliant location and very well stocked A great surprise of cakes on arrival"
"We love this cottage, and returned after a holiday there last October. 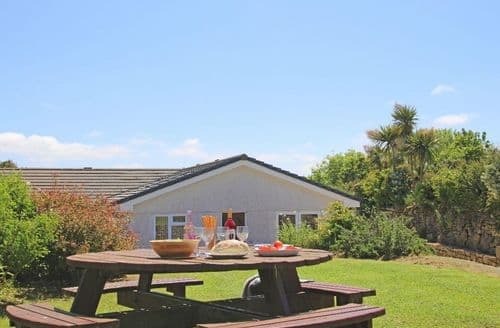 It's peaceful, tranquil, in a beautiful setting - think waking up to a sea view in the morning, in an amazing setting of moors and cliff top walks, and yet it is easy to access beaches and historical sites. 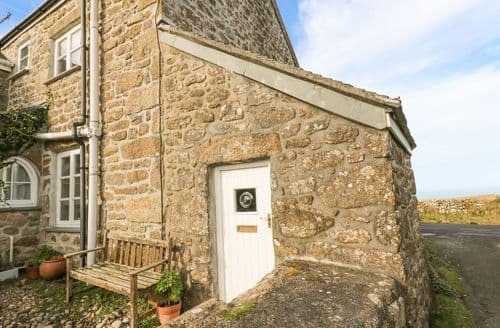 It's a great base to explore all of West Penwith, from St Ives to Penzance to Sennen.The cottage itself is like stepping back in time, but with a modern kitchen. If you like Poldark, think Nampara with granite work tops! I loved the atmosphere. Everything went well on this holiday, from helpful owners to great places to eat, to gorgeous beaches and historic sites. We'll be back - it felt like home. (Did I mention my husband's family lived there in 1851?)" 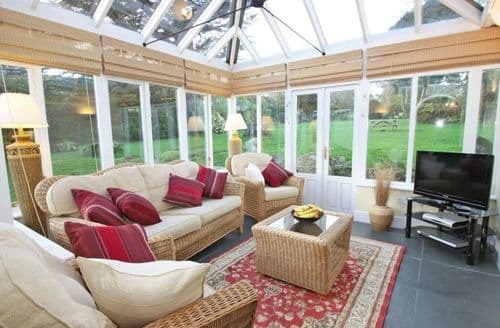 "The cottage was lovely and we loved the location. The peace was beautiful. Mr Williams was v. friendly and we had a good chat with him. However, as the cottage is fairly off the beaten track we thought it would be hepful to have a sign (stating the name of the cottage) which can be seen from the road. (ie at the end of the drive instead of halfway down). Although we were using sat.nav. we lost our signal near to the cottage and drove past twice! Also, a night light (so as not too bright to keep you awake) would be useful to light the staircase as the toilet is downstairs and is a bit tricky going downstairs in the middle of the night. We are at that age! We would definitely visit again."